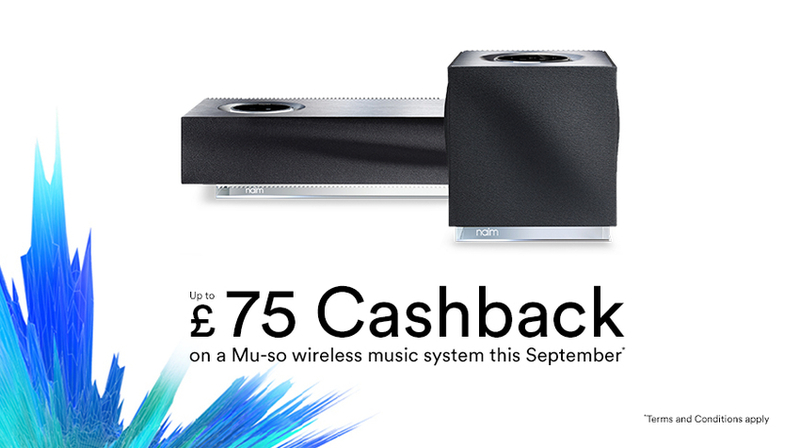 From today, 1st September, until 2nd October inclusive, purchase a Naim Audio Mu-so wireless music system and you’ll get £75 back from Naim. That’s enough for half a dozen or more hi-res album downloads from Qobuz. Or 6 months+ streaming subscription at TIDAL to get you started. The giveaway also includes Mu-so Qb, which attracts £50 cashback.